It can be difficult to know what workout plan you should be doing in the gym, especially if you are relatively new to weight training. This article should explain the basics of different training splits and give you the knowledge to decide what’s the best fitness training plan for your goals. There are many ways to organise a workout program including: body part split, push-pull split, upper-lower split, full body routine, push-pull-legs split and more! It can get very confusing especially if you have no idea what any of these terms mean. ‘Split’ routines are focused around weight or resistance training and a split is simply how you divide the different muscle groups between workout sessions. After you have completed all the different workouts that make up the split, the whole cycle is repeated. As for which split is the best for you, that really depends on what you enjoy and what you can stick to doing. Personally we tend to mix our split up every few months but push/pull is definitely our favourite! The important thing with any split routine is that you train each muscle equally so that everything develops in proportion. The exceptions to this rule are abs and calves which can be trained more frequently than other muscle groups because they can recover more quickly. The timing of your rest days is up to you, it is probably sensible to leave at least 1-2 days between sessions training a particular body part. The simplest training program and one of the best programs for a beginner is the full body split. This involves training your entire body every session either with the exact same workout or switching up your exercises, sets or reps each time. On a full body split you can’t do a large number of exercises on each muscle group because your gym session would take 3 hours to complete! The theory is that keeping the volume low but training more frequently will still stimulate muscle growth. Steve Reeves, a classic bodybuilder, used a full body split routine to build an amazing and aesthetic physique! The disadvantage of using a full body split is that you will need to take at least 1 day of rest in between every session to allow your muscles to recover. This means you can’t train every day which may be a problem for people who love to train all the time! The upper-lower split is a two day split where the entire upper body is trained in one session and the entire lower body is trained on another. The upper body can simply be defined as anything above the belly button and the lower body anything below. By splitting the whole body into two, each muscle group gets twice as much recovery time as a 1 day split since each one is only trained every other workout. This may be necessary as you become more advanced – training with heavier weight for more sets will tax the body more meaning more recovery is needed. The push-pull split is also a two day split but it can be a little more difficult to work out which muscles fit into each category. Pull muscles are defined as those used for pulling movements such as rowing a boat and push muscles are defined as those used for pushing movements such as pushing a sled along the ground. The advantage of a push-pull split over an upper-lower split is that part of the legs are trained every session. 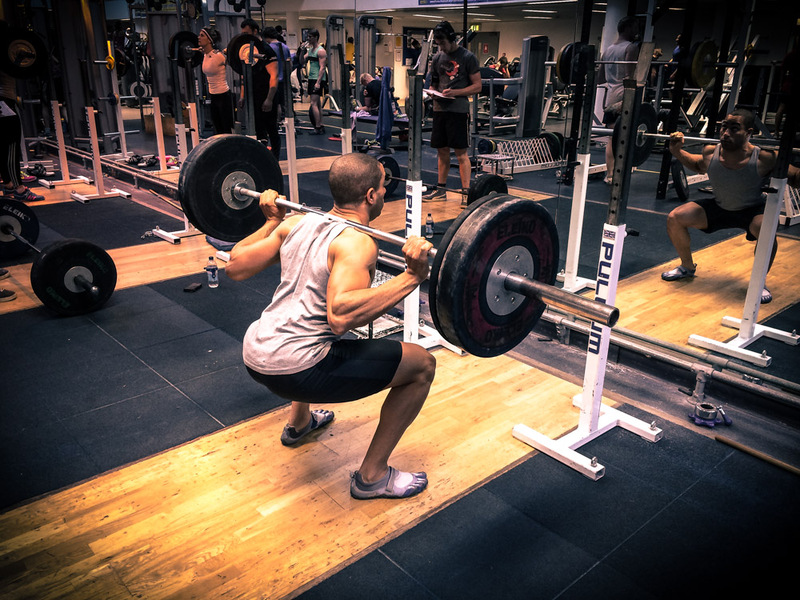 Weight training increases testosterone and since your legs are your largest muscle group, this should mean that your body releases more testosterone than if you only trained legs every other session. A push-pull-legs split is a three day split which means training the push muscles of the upper body on one day, the pull muscles of the upper body on another day and the legs in isolation on the final day. If you are looking to improve your upper body in particular this may be a good split to choose since the upper body is trained twice as often. Notice that the example given does not fit into one week, don’t feel that Monday HAS to be chest day and so on. It’s more important to train everything equally than it is to train a particular body part on a particular day! When splitting the muscles up into a split of more than 4 days it is not really possible to split the body up into functional groups but may still necessary to train more than one muscle group per day. The more days there are in the split, the less muscles will be trained per day. There are numerous ways that body can be split up over 4 days, either working complimentary muscle groups together such as chest with triceps or working opposite muscle groups together such as chest with biceps. A 4+ day split is usually performed by advanced bodybuilders who are lifting with heavy weights and lots of sets on the same muscle group. In this situation the muscle group will be extremely taxed and therefor need more time to recover but since it is only trained maybe once every 4 sessions, you could still train every day if you wanted to. Whatever level you are at, a one or two day split such as the full body split or push-pull split will be a great choice for improving your physique as well as your strength. We don’t recommend you do a body part split unless you’re very advanced (read why HERE). Whatever split you choose, as long as you stay consistent and train hard, you should see great results. The push-pull split is our personal favourite and you can find many examples in our “8 Punishing Push-Pull Workouts” article.